When you are travelling, you need to take some major decisions like which place to see, how much money to spend, when is the appropriate season to visit it and finally settle on the airfare price. Apart from this, it’s the small details that really count and makes a travel trip easier. Hence follow these clever tips for a less stressful vacation. Most of the travelers leave their vehicle light on and this leads to dead batteries. Check that while parking your car and make sure you leave the nose out. 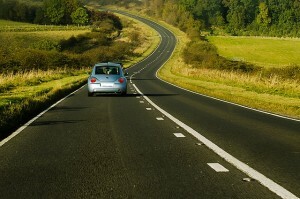 If you are going for long trips, then you need to select lower priced parking space. However to do that, you need to have enough time to park your vehicle and reach the terminal. Therefore leave early from your house. According to latest reports, one bag on each and every flight is misplaced. So pack few necessary items in hand luggage. Before leaving your house, take a print out of hotel’s address and the contact details. Much better, if you carry a map of the place you are visiting. Carry old currency notes with you. Old foreign currency can be exchanged in the next trip. Therefore it saves you the time of going to the banks. Never through your boarding passes, since they will be considered as proof of travel. If your airline does not provide the right flier miles, then this will serve as evidence. Further to that, these boarding pass will be useful as a document for tax purposes, especially if you are self employed. If you are running late to catch the flight, then skycaps may help you to check-in quicker. However you need to tip them based on the number of bags you have. Hence if you have ample time to check-in, then no need to get their help. If you prefer a window seat or aisle seat, then its better if you book it online. Moreover you can do that even 24 hours prior to your flight. As a matter of fact, not all airlines, flights or classes of travel grant advance seating assignments. All of us purchase our suitcases from the same manufacturers; hence you will find all identical bags. To distinguish your suitcase from others, tie a colorful ribbon or place larger stickers on them. This will prevent other people from scanning your suitcase. This may appear like an easy decision, yet knowing your flight number can make a lot of difference. Some small airports do not display full name of the flights, hence it will be good if you the flight numbers.